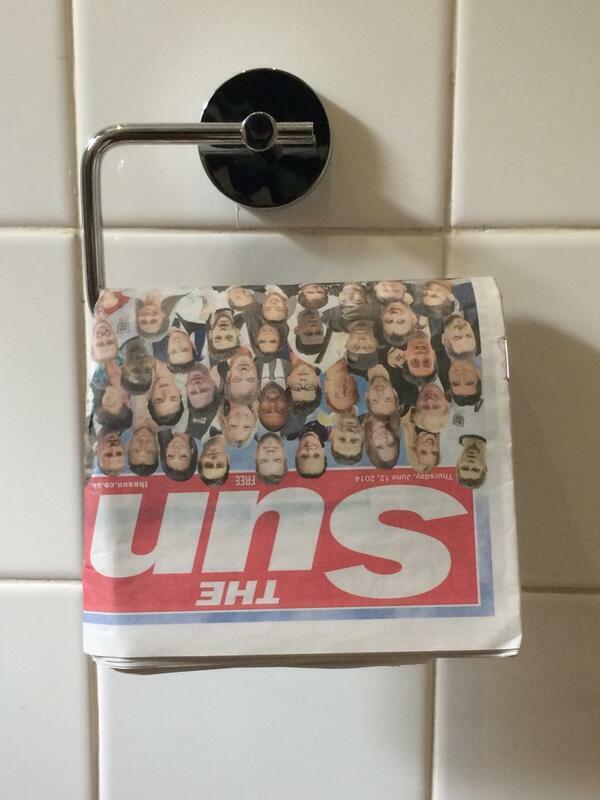 The Sun is today delivering a special edition to 22 million homes. There have been some creative responses. 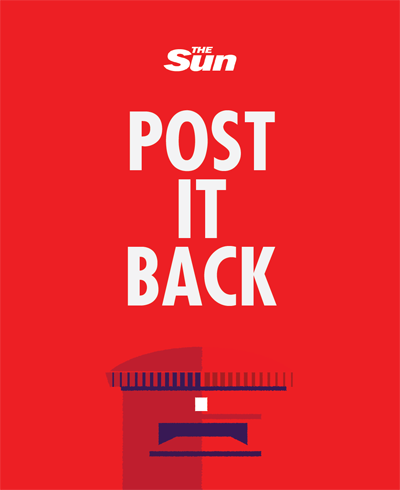 This is the front page of The Sun's special edition, delivered for free across the country. You might get one in the post today or tomorrow. Launched as a glorious fanfare to the World Cup, our 24-page special edition is an unapologetic celebration of England — and what it means to be English in our culture and our history, and in our blood and our bones.This special edition is all you need to get your heart pumping in anticipation of Brazil 2014 — and guaranteed to make you proud. And it took precisely "not very long" for people to start taking the piss. 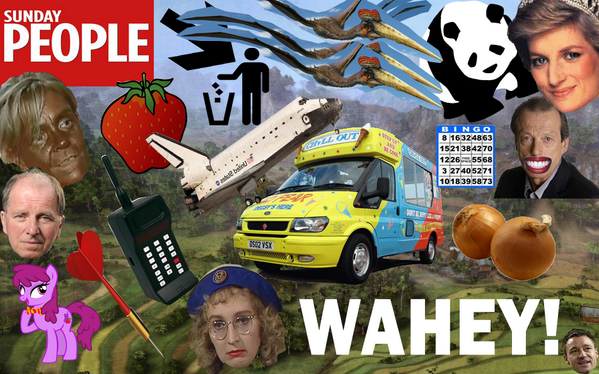 Revised edition of The Sun&#39;s front page. 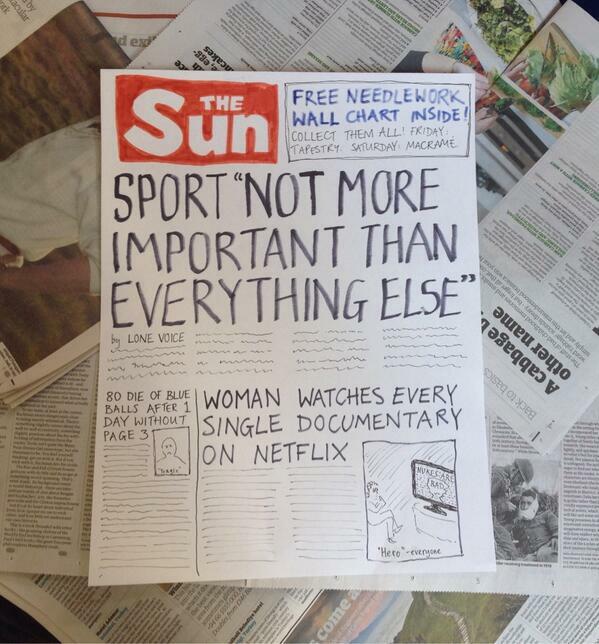 Revised edition of The Sun's front page. Some questioned the choice of stars included in the Peter Blake-style montage, such as Peppa Pig. And Danny Dyer. Some people made their feelings clear. 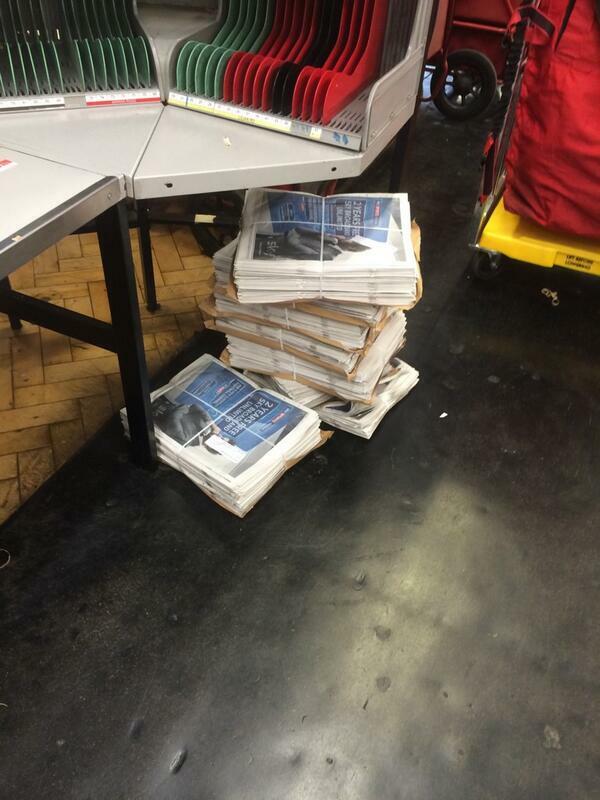 Others said the paper was destined for the cat litter tray. 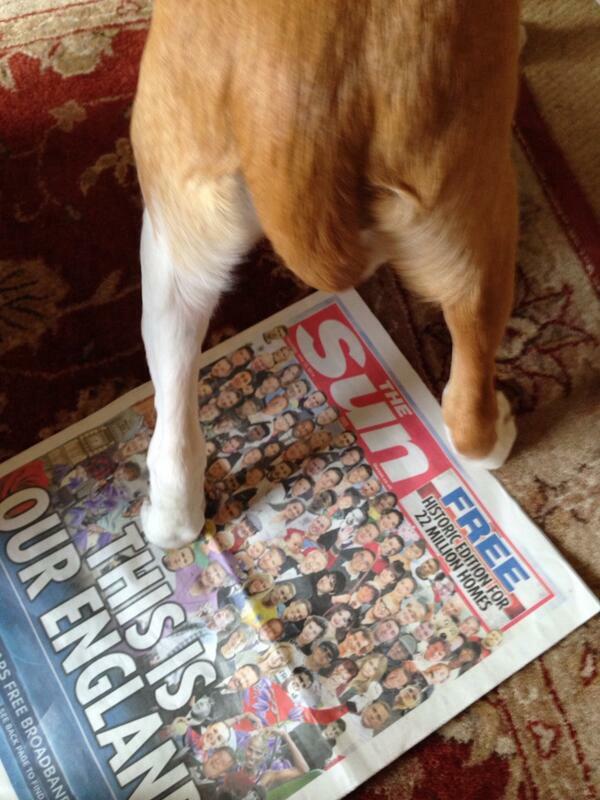 Looking forward to receiving my free copy of @thesun. As is my cat, who will now have something new in her litter tray. 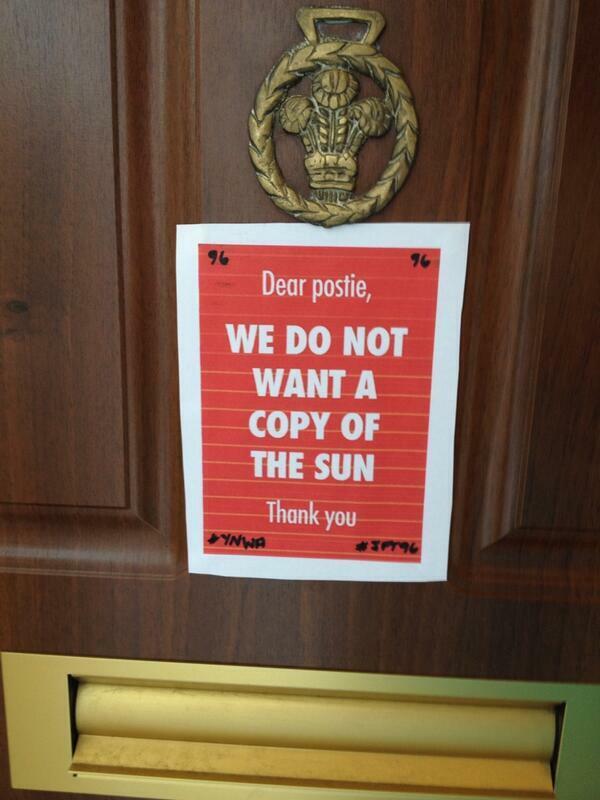 Free copy of The Sun arrives. Decide to stop house training the puppy for the meantime. 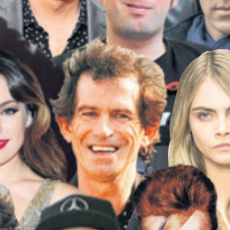 People thought that Scottish tennis star Andy Murray was on it, but it was the thoroughly English Keith Richards. Some thought they&#39;d spotted (the Scottish) Andy Murray on our &#39;This Is Our England&#39; edition. It&#39;s Keith Richards! Some thought they'd spotted (the Scottish) Andy Murray on our 'This Is Our England' edition. It's Keith Richards! It appears that Nigel Farage is balancing a pint glass on Morrissey's head. Then the 8th Doctor sounded his disapproval. Just had a free copy of the S** delivered by our presumably patriotic postie. Ashamed I&#39;d not stopped him. What should I do with it? Just had a free copy of the S** delivered by our presumably patriotic postie. Ashamed I'd not stopped him. What should I do with it? Only to be consoled by the 6th. 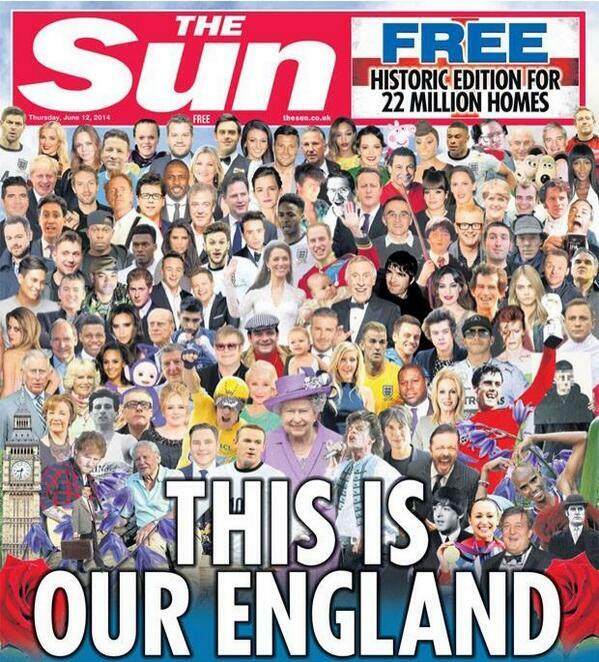 This isn't the first time The Sun has produced a patriotic – and, for some, baffling – front page. And that wasn't safe from parodies either. There is a campaign encouraging people to send their copy back to Wapping. 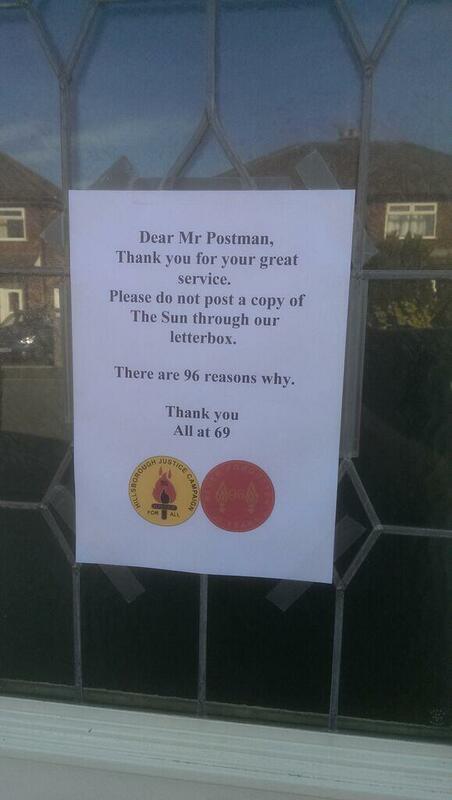 Notices like this are going up on front doors in Liverpool, where The Sun hasn't sold well, if at all, since it angered the entire city with its reporting of the Hillsborough disaster. The Liverpool Echo (owned by Trinity Mirror, rival to The Sun's parent company News UK) even starred out the paper's name today. Postal staff in St Helens, Runcorn and Ellesmere Port are joining workers in Skelmersdale in refusing to deliver the special edition.